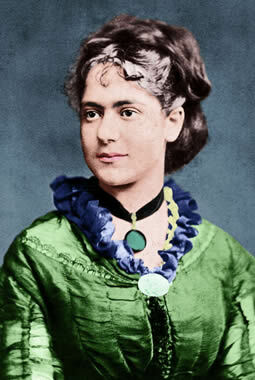 Eleanor Marx was a pioneer “new woman”. So much of what we take for granted today in terms of women’s rights and status was simply unimaginable in her day. She was an inspiring, restless, politically-driven, loving, self-sacrificing personality, writes Corinna Lotz. 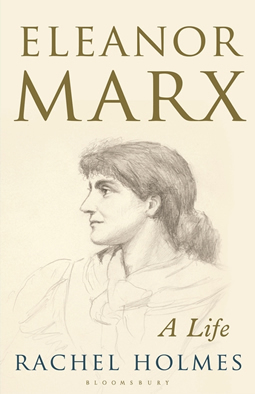 In the first major account of Eleanor Marx’s life to be published in four decades, Rachel Holmes has done justice to an astonishing woman. She has brought her to life for a new generation, not simply as an historical figure but as a three-dimensional and complex personality. The first biography, published in 1967, was by Japanese labour historian Chushichi Tsuzuki. Six years later, Yvonne Kapp produced her labour of love, a two-volume meticulously-researched biography. Both of these were undoubted contributions to understanding Eleanor’s life and her political contribution. But Holmes sets out to be more than a chronicler or a compiler of history. She has re-visited all the original source materials and draws on them so that Eleanor emerges from the pages as a living, breathing woman, always passionate, usually firing on all cylinders. No wonder that this biography has been greeted with enthusiasm by feminist writers like Jeanette Winterson, Susie Orbach and Bel Mooney. Right from the start, we feel like members of the impoverished émigré Marx family, breathing the strange mixture of smells and sounds that accompanied Eleanor’s entry into the world on 16 January 1855 at 28 Dean Street in London’s Soho. We discover that her mother, the aristocratic Jenny von Westphalen, the German beauty from Trier who Karl wooed for seven years, was not the legendary long-suffering wife who supported her perpetually impecunious husband. In fact, Jenny was already politically active before she met Marx, and as Holmes writes, it was her political intellect that attracted him as much as her good looks. She wore a tricolour in her hair and was an enthusiastic supporter of the Young Germany movement – “a borderline libertine with breathtakingly progressive views”, writes Holmes. She could quote Shakespeare and Voltaire in their original languages. Thus it transpires that not only Eleanor’s revolutionary politics, but her cosmopolitanism, her astonishing grasp of diverse languages came from both her parents. Between their parents’ families, five primary languages were spoken: German, French, English, Dutch and Yiddish. Whilst only attending school when she reached 11, thanks to her father’s story-telling and home-schooling, she was already avidly devouring books at the age of six. Eleanor was the only one of Marx’s daughters to be born in England, and unlike the older Jenny and Laura, she was to make it her permanent home and arena for political action. In 1867, the year of the Fenian Rising in County Kerry and Dublin, and not yet 13, she was a fervent supporter of the Irish Republican cause, reading The Irishman every day and signing herself as Eleanor, F.S. (Fenian Sister) in letters to Lizzy Burns, who was the sister of Frederick Engels’ beloved life-partner Mary. Known as Tussy to her intimate friends, her formative years are related in vivid, almost day-to-day detail, through direct quotes from Eleanor, the Marx family correspondence and documents drawn from a huge range of resources. Holmes sets the story into the context of the social, political and cultural movements in Britain and internationally, which shaped Eleanor and in which she played a significant and often under-appreciated part, due in part to her role as editor, translator and ghost writer for more famous men. In April 1871, at the high point of the Paris Commune, the Foreign Office issued a passport to “Miss Eleanor Marx (British Subject) accompanied by her sister, going to Bordeaux”. The 16-year-old was going with Jenny to try to help their sister Laura. The two were arrested and taken to the chief of police in Paris to be interrogated. The story of how they outwitted the police and their eventual release shows how intrepid and resourceful they were under pressure. It was also that year when the 17-year-old met her first love, Communard hero Prosper Lissagaray, who was twice her age. Against her father’s will she set herself up as a teacher in Brighton and lived there as his fiancé. Within a couple of years, torn by her loyalties and struggling to make a living, Tussy became seriously ill.
She was nursed back to health by Elizabeth Garrett Anderson, the first woman to qualify as a doctor in England. By the time she was 19 and by now back at home in 41 Maitland Park Road, Chalk Farm, Eleanor helped to produce Lissagaray’s magazine, Rouge et Noir, and researched and translated his history of the Commune. By the time she was in her twenties, she was involved in all the great social and political struggles and issues of the day. And that was to be the pattern for the next two decades. They saw her active within English socialist organisations, including the Socialist League with William Morris, in the leadership of the new mass trade unions in London and in the American labour movement where she addressed meetings around the country. She also found time to translate Gustave Flaubert’s Madame Bovary and four of Edward Ibsen’s plays. Holmes describes her as “midwife to the twins of trade unionism and socialist internationalism”. In doing so she had to confront male chauvinism in the trade union movement – being barred from the gas workers’ union conference even though she was on the national executive. The same stonewalling was also used against match workers’ union leaders Edith Simcox and Annie Besant. Eleanor’s closeness to Engels, known in the family as “The General”, is a constant theme throughout the story. Holmes’ approach to both of the father-figures in the life of the most revolutionary woman of the late 19th century gives a full picture of how Marx and Engels relied upon and supported each other over every twist and turn in their lives. Engel’s support for the Marx family continued after his friend’s death, when he generously endowed all three sisters with his inheritance. It was not simply a heroic friendship of two men – as it has been so often depicted – but an interweaving collaboration of families, partners and daughters, embracing Engels’ ménage-a-trois in Manchester and that of Karl, Jenny and Lenchen in London, together with close friends Wilhelm and Nathalie Liebknecht, parents of Karl, later to become co-leader with Rosa Luxembourg of the German Spartacist Revolution. While showing how the Marx-Engels collaboration was a principled and inspiring relationship, Holmes does not idealise them or play down the way in which social mores have changed so fundamentally since the late 19th century. She dwells on how the unclear paternity of Freddy Demuth, thought to be Engels’ out-of-wedlock offspring – but eventually revealed as Marx’s son with Lenchen Demuth, became a source of anxiety to Eleanor. In 1883, Eleanor had to contend with her elder sister’s death at the age of 38, followed two months later by her father, and her four-year-old nephew, Harry Longuet. Later that year, she decided to live with fellow socialist and literary critic, Edward Aveling. The story of how Aveling, a talented but deeply duplicitous man, clung on and exploited her in every sense of the word, forms a disturbing background to the second half of the book. While Holmes gives a powerful sense of Eleanor’s intellectual and political rigour, she also seeks to understand her emotional vulnerability and desire for a shared life. Despite the warnings of her closest friends, she was blind to Aveling’s shameless manipulation and treachery, which eventually drove her to a shocking death, aged only 43. Until now it has been thought that Eleanor committed suicide. But Holmes pieces together evidence that Aveling was still at home when the poison was brought from the chemist by Gertrude Gentry, Eleanor’s housekeeper. The prescription request was initialled EA, and Aveling’s card was clipped to the note. Aveling lied to the coroner’s court and Eleanor’s last correspondence, plus a crucial codicil to her will went missing. Holmes’ style of biography might be too ambitious in her effort to place the deeply personal and psychological in the context of the political movements in which Eleanor was so deeply involved. But she has brought her subject to life as a living, breathing, tempestuous, flawed and ultimately heroic political human being. Instead of concluding that Eleanor Marx’s political mission was a doomed swansong of a long-gone era, Holmes believes that there are new collective impulses afoot “towards social democracy” amidst a new set of historical conditions. Eleanor was indeed a pioneer “new woman”. So much of what we take for granted today in terms of women’s rights and status was simply unimaginable in Eleanor’s day. The woman who emerges from this book is an inspiring, restless, politically-driven, loving, self-sacrificing personality.